As a female over 30 (to be honest, way way over 30), I am always happy to find books with female main characters who are over 30 that are strong women and not doddering old ladies who have a house full of cats. This month, I was lucky to find two books with strong female main characters. Amazon affiliate links are used on this page. Free books were provided for an honest review. 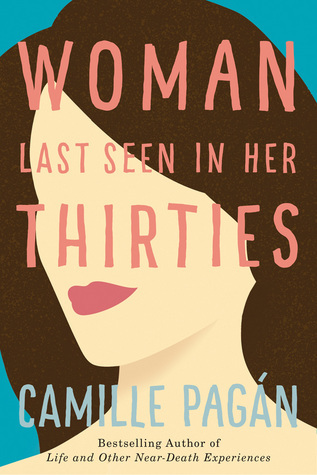 When I first saw the title of this book, I thought it would be about a woman in her 30s. Was I ever wrong - it's about a woman in her 50s and I was thrilled. I feel that this is an age group that is being ignored in modern books and it was great to have such a multi-dimensional and well-written character take the lead. Kudos to Camille for writing such a fantastic main character and a great book. 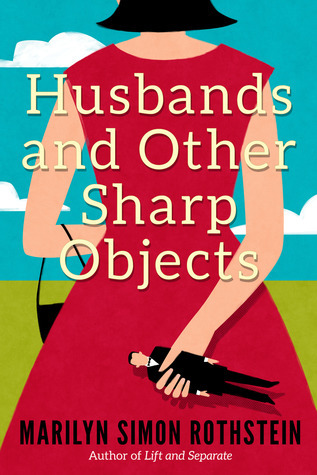 After 30 years of marriage and being part of a couple who were well matched and happy, Maggie's husband decides that he no longer loves his wife and wants a divorce. He has found another woman who is as young as their two children and wants to start his life over. Maggie is shocked and at first thinks that he will be back soon. She even plans a family Thanksgiving dinner several months later so he can see what he's missed and beg to come home. It doesn't work that way and Maggie has to re-invent herself and her life and at 53 that's a tough thing to do. She ends up taking a solo trip to Italy and then moves to another state to try to find herself and figure out what she wants out of life and what her life will look like as she moves forward. I loved Maggie and I laughed with her and cried with her and was rooting for her to find a way to move forward with her life. This book doesn't disappoint and you don't want to miss it. What a fun book to read. 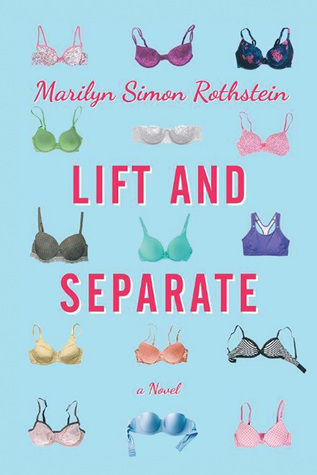 It's the continuation of Marcy's story from Lift and Separate (see my review from 2016 below) and could be read as a stand-alone but knowing her total story makes this book even better. Marcy and her cheating husband, Harvey, have split due to another woman but now he wants to get back together. Her boyfriend Jon has become very special to her but now he wants more of a commitment. Add together three grown children, a wedding, and a bridezilla and you have a story that's both humorous and touching as Marcy tries to keep everyone in her life happy. Going through a divorce and planning her daughter's wedding at the same time is making Marcy crazy and she is surrounded by some very strange family members - thank goodness for her two good friends that are helping her maintain her sanity. Plus the voice of her deceased mother keeps running through her head telling her how she should act. This is a hilarious look at a 50ish-year-old woman trying to find herself again and decide how she wants to live her life in the future. I highly recommend it. I loved the main character in this book, Marcy Hammer. She's the kind of character that is so well written and so real that you feel like you could sit down and have a cup of coffee with her. Her problems were the same problems that lots of women share. After 33 years of following all of the rules of her time - getting married (and staying married for 33 years), giving up her job and her future to take care of her husband and kids, waiting on her husband hand and foot and going along with all of his decisions - Marcy finds herself alone after her husband leaves her for a young lingerie model. At first, all she wants is to get him back, to forgive him and have their marriage get back on track. The big question throughout the book is whether she will get back with her husband and go back to the way things had been for 33 years or whether there was a real tough core under that woman who wants to fly on her own and do all of the things that she missed doing. Watching her mature and learn to take on life as it is, makes this a fantastic book to read. There are parts that are laugh out loud funny and overall, it's a great book to read with a good message on how to find happiness in life and how to find your strength in adversity.